A major new development for 3,000 homes is planned for the northern edge of Wellingborough and CSA have been appointed by Northants LLP to design the landscape infrastructure for the first phase of 700 dwellings. 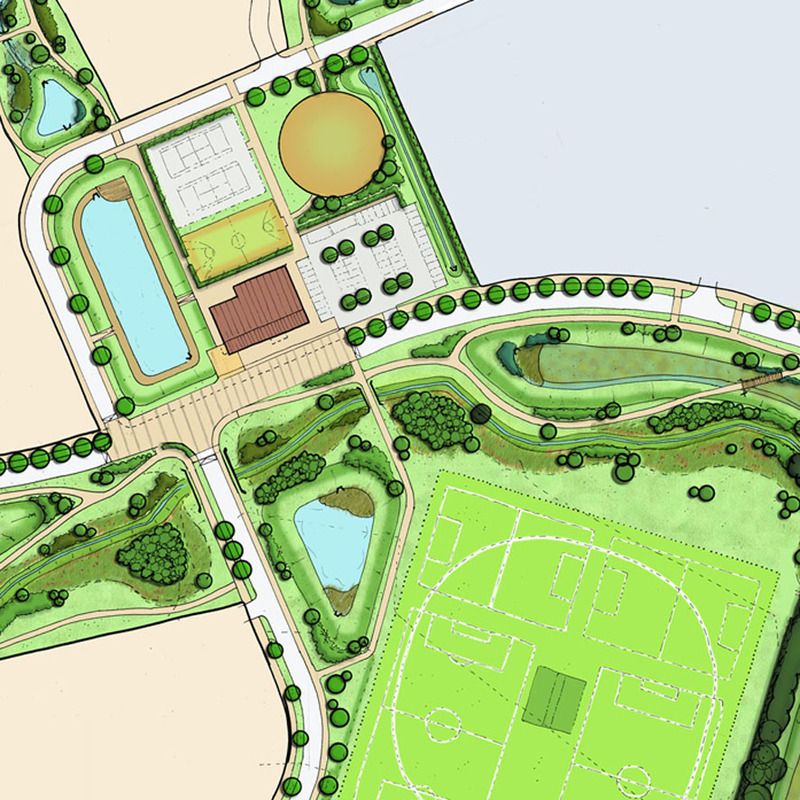 The scheme includes sports pitches and a central community hub containing a combined NEAP/LEAP play area and formal pond. To maximise the biodiversity benefits of the scheme CSA have worked closely with the drainage engineers to design a network of SuDS features which run alongside Harrowden Brook. Planning permission for the initial phase of landscape works was secured in 2014, with development set to commence in late 2015.